We all feel so busy. There is so much to do and often there seems to be so little time. Time. It’s one of life’s mysteries. Sometimes it slips away much too quickly, other times it is painfully slow. We try to stretch some hours but to compress others. We aim to manage it hour by hour, yet we squander vast quantities of it. I remember how, long ago at the start of our homeschooling journey, all the empty years stretched out endlessly in a complex mixture of enthusiasm, hope, and terror. Now, nearing the end of that journey, I look back and then forward to the remaining few years, trying to gain the wisdom I need to use them well. Similar concepts can apply to each of our lives. Can we alter our perception of time by interacting with it in different ways? 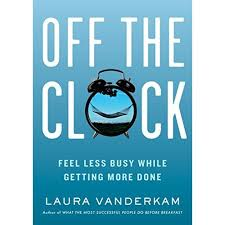 When Vanderkam’s research turned up busy, productive people with both jobs and children, who felt that time was abundant, she studied their hour by hour time use to see what they did differently than folks who felt time pressure. The resulting book approaches this matter of time pressure systematically, with research, stories, discoveries, and practical suggestions. It begins by numbering not only our days but our hours—168 a week, probably only a few hundred thousand left in our lives, and many fewer in our homeschooling days. But then, rather than leaving us sad or frantic about the limited amount of time left, Vanderkam points out how we can maximize that time calmly and realistically, with joy. There’s no penny pinching of hours here, but extravagant spending of them in fulfilling ways. Time needs to be tended carefully. 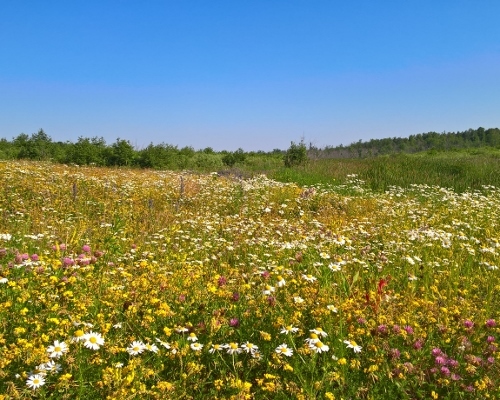 If we accept responsibility for it and plan its use thoughtfully, it will seem to expand. Fun often requires planning, memory-making takes effort we hesitate to expend, and memories must be intentionally cultivated, but they all expand our sense of time. Bliss is possible in the past and the future but rarely in the fleeting present. In the present we are often preoccupied with the inevitable problems that anticipation and memory can ignore. Few activities are fun for the whole family for their entire duration. Paradoxically, people who get a lot done choose not to pack their schedules. Instead, they think through their days ahead of time, planning to use their time rather than merely fill it. Self-imposed suffering happens when our expectations are unrealistic. In most cases ‘good enough’ is good enough, and anxiously striving for perfection uses up enormous amounts of time and energy. Accepting that no person or experience is ever perfect and learning to find the good in them anyways is not only wise; it can also save a lot of time and anguish. In our individualistic culture and our busy lives we sometimes forget that ‘people are a good use of time.’ We need to be as intentional about relationships as we are about anything else. Yes, this can take up large chunks of our schedule; the phrase ‘love is patient’ implies many things, one of them being that love is generous with time. On the other hand, Vanderkam points out that that time spent cultivating relationships generally expands the time we seem to have. She also points out that we often foolishly rush through pleasant experiences rather than lingering and enjoying them to the fullest. Savoring the good times, something we can learn, stretches time; becoming good at suffering, another thing we can learn, can make endless moments of pain feel a bit shorter. In this sense, joy is a discipline closely allied to our sense of time. Although Vanderkam studied people with both outside jobs and children, not homeschoolers, we can adapt these ideas to our homeschools. Numbering our weekly hours can help us use our time more wisely; changing our attitude to time can give us the joy and energy to make learning more exciting and effective. Our goal as homeschoolers is learning, not time-consuming ‘educational clutter,’ impressive and validating as it may seem. Mary Pride wrote about this in her valuable book Schoolproof (link to my review). When we have a golden moment or when someone is immersed in a topic, we need to allow time for that. Memorable learning takes effort, even if only in the planning. We should not overwhelm ourselves and our children with unrealistic expectations but instead be satisfied with doing a decent job every day. It’s important to teach children to notice their blessings and be grateful for them. We also need to teach them that filling time online correlates with time pressure and less joy, and to encourage them to invest in real life instead. Of course, these ideas have long been discussed by Christian homeschoolers but Vanderkam’s approach helps us see them in a fresh light. This is not a standard time management book, but a personal, research-driven look at how our mindset affects our experience of time and, hence, life. Many of Vanderkam’s ideas can give fresh, practical insights to Christians. If we add a solid understanding of God’s providence to the insights in Off the Clock, many of us will unexpectedly find extra time and joy in our personal lives as well as our homeschools. It is ironic that, because of postal issues, I actually did not have adequate time to read and ponder Off the Clock before starting this review. Also, the past days have been the fullest ones in months. Yet reading in spare moments helped me look at things so differently that I felt peaceful and even savored several memorable mini-vacations despite the time pressure. When I think of this book in the future, I will likely also think about the firefly blinking on my excited daughter’s hand, the soothing greenery beside various parking lots, and the field of scented wildflowers I spent a blissfully long five minutes photographing. In fact, I was able to Feel Less Busy While Getting More Done. If you, too, feel time pressure, I urge you to read Off the Clock. It could change the way you experience time, both in your personal life and your homeschool, and equip you to live with more love, joy, and peace. If you enjoyed this article, you might want to follow me on Google+, where I often mention helpful or interesting ideas, friend me on Facebook where I show up once in a while and am still a newbie, or connect with me on GoodReads where I share what I read. Disclosure: Laura Vanderkam sent me a review copy of this book. All opinions are my own and I have received no compensation for them. Posted in: 52 Books in 52 Weeks, Life, Reviews, Reviews: Nonfiction, Simple Joys. Time is such a complex experience. The older I get the faster time goes. My youngest will be in college in 2 school years, a blink of the eye! I may need to read this book. Only two more years! Wow! I have three, if all goes well, and I want to savor the time and teach wisely as well as prepare for life after homeschooling. I think you will enjoy this book. Please let me know what you think of it if you do read it. Yes, I think every busy person would benefit from this book. It’s at the library, but there is a long waiting list. Do you want to drop by for a swim and borrow mine?